Say “Merry Christmas” this year - and next! 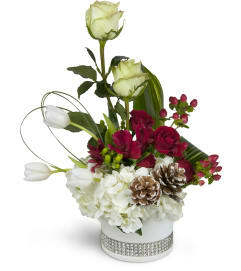 - with a cheerful holiday bouquet arranged in an adorable votive candle holder! It’s a classic Christmas display that will be a favorite for years to come. 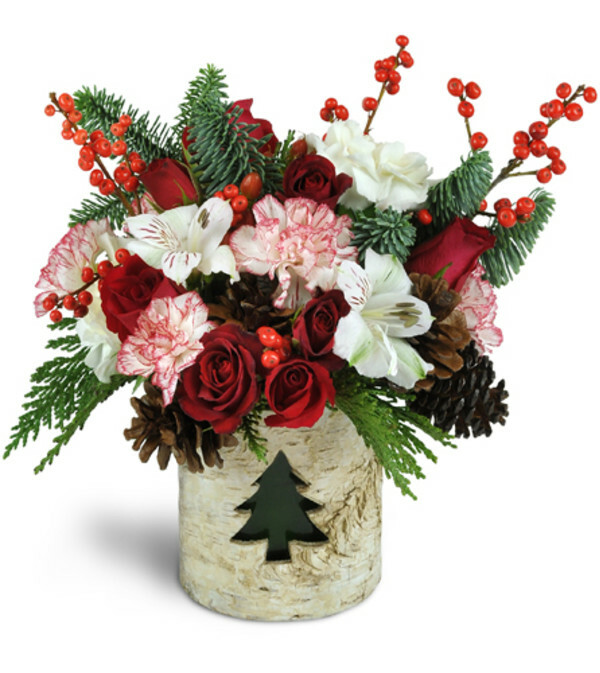 Red spray roses, carnations and “peppermint” mini carnations, pine, and more are arranged in a birch container, featuring a Christmas tree window, that doubles as a votive candle holder.